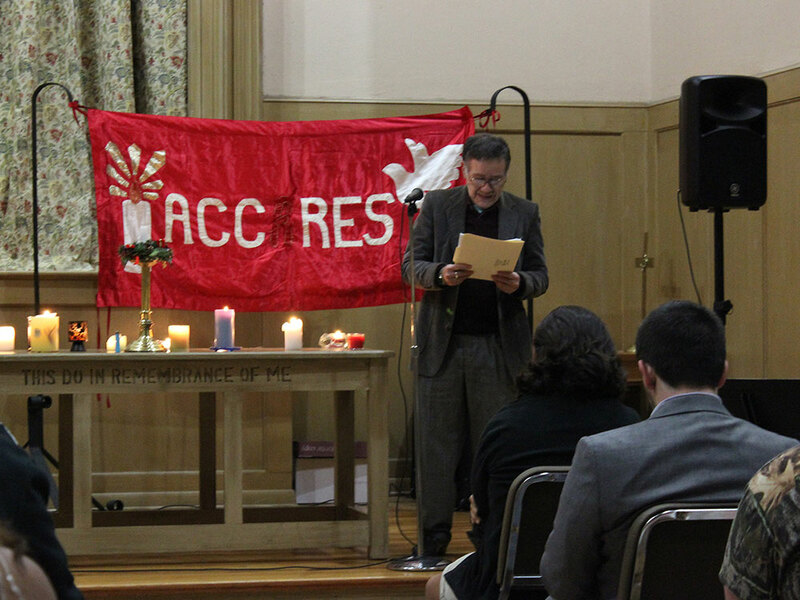 Austin College’s student organization AC.CARES will host its annual World AIDS Day service Saturday, December 1, at 6:30 p.m. in the small chapel of Wynne Chapel, behind the main auditorium. Members of the public are invited to attend. “This celebratory service for people we have loved and lost to AIDS will include prayers, poems, songs, and memorial tributes,” said Roger Platizky, professor of English and longtime sponsor of the AC.CARES organization. Donations will be taken to support the Simbaradenga Newstart Children’s AIDS Orphanage in Zimbabwe, Africa, which AC.CARES co-sponsors with the Callie Clinic of Sherman. Thousands of children in Africa are orphaned by AIDS, and the Austin College group has done fundraising for the orphanage for several years. AC.CARES members participate in a number of educational efforts throughout the year to inform students about HIV and AIDS. An AIDS Quilt Day is held each spring.Austin College, a private national liberal arts college located north of Dallas in Sherman, Texas, has earned a reputation for excellence in academic preparation, international study, pre-professional foundations, leadership development, committed faculty, and hands-on, adventurous learning opportunities. One of 40 schools profiled in Loren Pope’s influential book Colleges That Change Lives, Austin College boasts a welcoming community that embraces diversity and individuality, with 46 percent of students identifying as persons of color. The residential student body of approximately 1,300 students and more than 100 expert faculty members allow a 13:1 student-faculty ratio and personalized attention. This year, the campus recognizes 100 years of co-education and has had several opportunities to recognize the history of women and accomplishments of current alumnae. Austin College is related by covenant to the Presbyterian Church (USA) and cultivates an inclusive atmosphere that supports students’ faith journeys regardless of religious tradition. Founded in 1849, the College is the oldest institution of higher education in Texas operating under original name and charter.